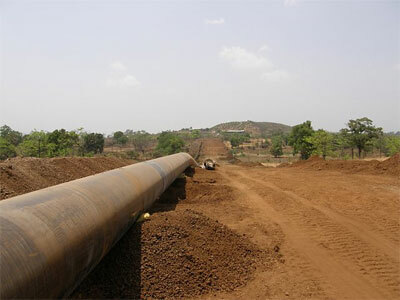 Gas produced in the Kurdish autonomy of Iraq can be transported to Europe via the Trans-Adriatic Pipeline (TAP), the director of external relations of TAP Michael Hoffman said at a meeting with representatives of the Ministry of Energy of Turkey, Turkish media reported on Tuesday. According to Hoffman, TAP gas transportation from Russia or Iran is not being considered within the project. "We are considering gas transportation from the Kurdish Autonomy of Iraq to Europe as plan B. When coming to gas from Russia or Iran, these options are not being considered," he said. Hoffman also noted that the initial capacity of the project is going to be 10 billion cubic meters, but its carrying capacity can be increased up to 20-25 billion cubic meters, significantly reducing gas pumping costs. The aim of the TAP project is to facilitate gas transportation from the Caspian region via Greece, Albania and the Adriatic Sea to the south of Italy and from there to Western Europe. The gas produced during the second phase of development of the Shah Deniz gas condensate field of Azerbaijan is considered as the main source for the project. The initial capacity of the TAP pipeline will be 10 billion cubic meters annually, expandable up to 20 billion cubic meters per year. Shareholders of TAP are Swiss AXPO (42.5 per cent), Norway's Statoil (42.5 per cent) and German E.ON Ruhrgas (15 per cent). If TAP is finally selected as the pipeline route for transporting Azerbaijani gas to Europe, the construction of the pipeline will start in 2015 with the first gas transported by the end of 2018.